NICOSIA, May 19. /TASS/. The new strike of the US Air Force in Syria confirms Washington’s intention to use the Jabhat al-Nusra terrorist group (outlawed in Russia) for the fight against Bashar Assad’s government, Russian Foreign Minister Sergey Lavrov told reporters on Friday. Moscow is concerned over differences in understanding the need to unite those who indeed fight on the ground and in the air against terrorists of the Islamic State and the former Jabhat al-Nusra, he said. 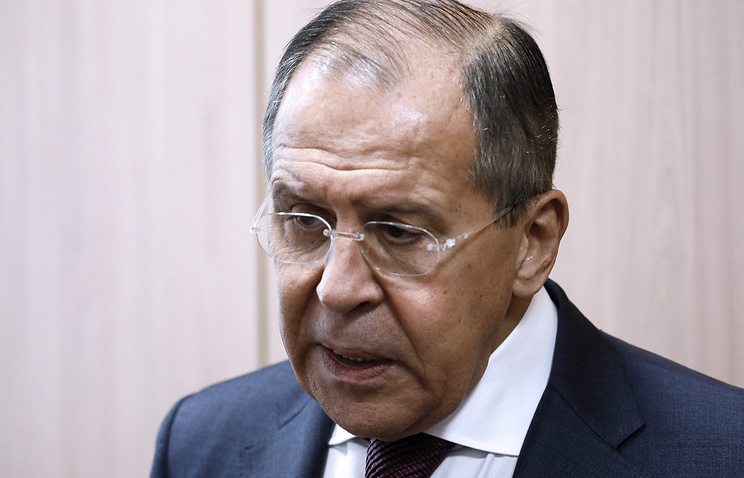 "We see the confirmation of an intention to use opposition and some extremists, including Jabhat al-Nusra, in the fight against the legitimate government of Syria," Lavrov said. This comes amid Washington’s calls to stop all contacts with Assad, he said, noting that the US Congress had passed a law demanding punishment for those who cooperate with the legitimate government of Syria. "This distracts us from the Syrian settlement and the major goal of this settlement - preventing the seizure of Syria and other parts of the Middle East by terrorists," Lavrov said. "So, what we hear about Washington’s position on Syria now is in fact coddling terrorists." "I don’t know about any such warning." "The US command said the strike was delivered because these pro-government forces posed a threat to the opposition which cooperates with the US-led coalition." "Whatever the reason the US command made such a decision, the strike was illegitimate and unlawful. It was yet another crude violation of Syria’s sovereignty," he stated. An air force group of the US-led counter-terrorist group on May 18 attacked pro-government forces in Syria operating within the established de-escalation zone northwest of At Tanf. The coalition’s headquarters argued that the forces had posed a threat to the United States and its allies.